Soe Tjen Marching is an academic, creative writer and a composer. Her book The Discrepancy between the Public and the Private Selves of Indonesian Women was published by the Edwin Mellen Press. As a creative writer, her works have been published in Australia, Indonesia and the United Kingdom; and she has won several creative writing competitions in Australia. 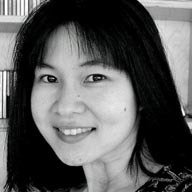 As a composer, she won a national competition for Indonesian composers in 1998 held by the Association for Indonesian Composers (AKI) and the German Embassy. One of her compositions was released in the CD Asia Piano Avantgarde – Indonesia played by pianist Steffen Schleiermacher. She now teaches at SOAS – University of London, as well as an honorary Research Fellow at Monash University in Australia. Soe Tjen Marching (lahir di Surabaya pada 23 April 1971) adalah seorang Indonesianis dan feminis. Ia memperoleh gelar Ph.D.nya dari Universitas Monash, Australia dengan menulis disertasi tentang otobiografi dan buku harian perempuan-perempuan Indonesia. Soe Tjen banyak menulis artikel di berbagai suratkabar Indonesia maupun asing, cerita pendek, dan juga membuat komposisi musik. Ia pernah memenangi beberapa kompetisi penulisan kreatif di Melbourne. Salah satu cerita pendeknya telah diterbitkan oleh Antipodes, sebuah jurnal sastra terkemuka di Amerika Serikat. Sebagai seorang komponis, ia pernah memenangi kompetisi tingkat nasional di Indonesia pada 1998. Sebuah komposisinya, “Kenang” (2001) diterbitkan sebagai bagian dari sebuah CD, “Asia Piano Avantgarde: Indonesia” yang dimainkan oleh Steffen Schleiermacher. Soe Tjen Marching telah menerjemahkan kumpulan cerpen Larutan Senja karya Ratih Kumala ke dalam bahasa Inggris, menjadi The Potion of Twilight. Ia menerjemahkan 14 cerpen yang ada di buku tersebut. Bersama dengan suaminya, Angus Nicholls, seorang peneliti sastra Jerman. Pasangan ini telah menulis sebuah artikel bersama dan merencanakan akan menerbitkan buku bersama. A traditional midwife (paradji) in the early 20th century in West Java, is suspected of killing Nastiti’s husband. The people in the village outcast her, but later she is killed by Nastiti. Before the paradji dies, she swears that she will take revenge on her death. She then reincarnates into a baby, then takes revenge to Nastiti. A mad-man named Seta is being observed by a psychiatrist. She notes everything about Seta’s health. However, her research of Seta turns out to be quite dangerous to herself as well as others. But who is this psychiatrist, anyway? Why does she do this? A forest fairy in Borneo. She only lives in little Angga’s fairy tale. Or perhaps also in the story of his father’s mysterious death – merely as an empty rumour. But later, in the forest of Borneo, Angga meets a woman whose hair is long and gown is brownish, the color of falling leaves. This is the story of god (with a small ‘g’) and how he creates the Universe. But this cunning god is nothing more than a plagiarist. He steals the works of other creators. And should we be grateful that we do not have this kind of God? A husband falls madly in love with a mole on her wife’s back. So in love he is with that mole, that he never pays attention to anything else, not her wife’s lips, eyes, nose, and even herself. Later, the wife becomes very jealous. Not of others, but of her own mole. So, she decides to get rid of her “rival”. Afterwards, she tries to convince her husband that she has never had a mole on her back. This eventually makes her husband suffer from depression. They called me communist although I wasn’t. And I didn’t lie. There were so many people who were but they denied it, to save their heads. After all, until now my head is still in its place, No? I know it may be hard for you to understand me – my speech is unclear because I have suffered two strokes, which have affected the use of my tongue. Parts of my body have also lost their motor functions. You will really have to sharpen your hearing to understand what I have to say . . . Her name is Ni Made Ginarni, a cheerful girl from Singaraja – a small town in Bali. She offers me to visit her and the ngaben ceremony (the traditional cremation ceremony). I finally take up her invitation, only to find that she had passed away before I met her. One city, two countries. And the East is sad again. Helga, a woman who lived for nearly 70 years in East Germany, was shot dead after getting a lift with her son, who was travelling from the east to the west. But Dietrich is persistent to cross the wall. He is aware of the consequence; but for him, to become a corpse for the sake of the freedom is worth the risk. Is she human or animal? If she is human, why is she caged and treated worse than a dog? This story is based from The New Testament of Holy Bible, but told from the point of view of a woman: Mary, Jesus’ mother. What happens if you leave your family, to live with a poor man in a tiny, noisy room in a slump area, only to be betrayed by this man later? The Dutch still occupies the land, and my grandfather cradles his radio like he does a baby, because this very small machine is able to give information to young Indonesian freedom fighters. But the Dutch discovers the radio one day, and I have to witness the death of my grandfather. Could you sell coffins like you sell clothes, shoes or souvenirs? And if you are desperate for more income, what strategy will you use to boost its sale? Well, the seller of coffins in this story decides to sell his coffins half price. Believe it or not, it does increase the sale dramatically. Of course, this also means that death has increased dramatically. No one knows his real name. He doesn’t seem to have any authentic identity cards. His skin is dark. He has drawn colourful tattoos on it. And surely, surely . . . when some crime happens in the area, the neighbours will name him as a suspect. The neighbours consider him as garbage and they want him to piss off immediately from here. But this man says, he has met the Prophet Mohammad?